Paramahansa Yogananda was born in Gorakhpur India January 5th, 1893. Gorakhpur is in the north of India and is associated with the great saint Gorakshanath who lived in the 10th – 12th Century. Yogananda was brought up in a devout loving Hindu family. At an early age, Yogananda’s mother passed away and this pushed the young Mukunda (as he then was) into a deep grief. However, this experience encouraged Yogananda to seek beyond the world and practise spiritual discipline. In his famous Autobiography of a Yogi, he explains how his early life was filled with visiting the various saints of Bengal and seeking to learn from their spiritual wisdom. One of these early teachers was Master Mahasaya who was a direct disciple of Sri Ramakrishna and wrote the Gospel of Sri Ramakrishna. 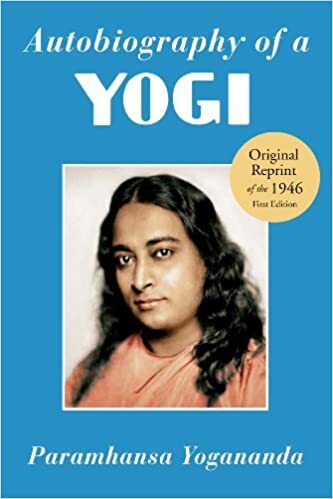 Yogananda’s interest in spiritual studies did not, however, extend to academic studies and his book explains how he sought to do as little academic work as possible. In fact, at one point he left home to go on a pilgrimage to the Himalayas. His family however disapproved of his tendency to “renounce the world” and he was found by his brother and bought back. At the age of 17 years, Yoganada met his Spiritual Master Sri Yukteswar. Sri Yukteswar was a disciple of Lahiri Mahasaya who in turn had received initiation from the immortal Babaji in the Himalayas. On becoming a disciple of Sri Yukteswar, Yogananda spent most of his time in the ashram of his Master where he practised meditation for many hours on end seeking to attain a glimpse of the cosmic consciousness. In 1917, Yogananda started work as a teacher in a school in Ranchi. The school was a special combination of modern educational methods and the ancient Indian Yoga systems to promote spiritual and physical well being. 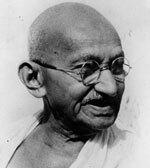 Mahatma Gandhi visited the school and was moved to say: “This institution has deeply impressed my mind.” Increasingly Yogananda felt a call to travel to America and with his Guru’s blessings, Yogananda left India for America in 1920 as a delegate to an international congress of religious leaders in Boston. In 1924 he returned to America to begin a lecture tour in which he offered the highest spiritual ideals of Vedanta in a format appropriate for modern American audiences. It was also in 1924 that Yogananda founded the Self Realisation Fellowship an organisation dedicated to promoting the ideals of Yogananda and providing an opportunity for seekers to practise his teachings. Over the next 20 years, the teachings of Yogananda prospered and many sincere seekers were attracted to the yoga system and teachings he offered. 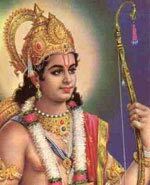 Therefore Yogananda sought to establish a spiritual community or ashram in Los Angeles. This has now become the headquarters of the Self Realisation Fellowship. In 1935 Yogananda returned to India for 18 months. 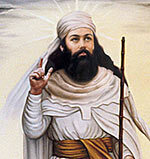 Here he embarked on another tour meeting many of India’s great saints of the days. These included Mahatma Gandhi, Ramana Maharishi and Sri Anandamayi Ma. And are recounted in his best selling book “Autobiography of a Yogi”. 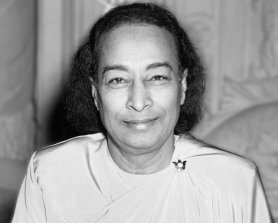 After returning to America Yogananda retreated somewhat from public life seeking to spend more time in meditation and writing spiritual guidance for the future when he was no longer living. On March 7th, 1952 Yogananda entered mahasamadhi (which is a Yogi’s conscious decision to leave the body). He left behind a legacy of spiritual poetry and writings and his teaching flourish to this day. Citation: Pettinger, Tejvan. “Biography of Paramahansa Yogananda”, Oxford, UK – www.biographyonline.net. Published 19th May 2013. Last updated 27 Feb 2018.